Hi, I was born in the UK and moved here 20 years ago. I have opened several business, worked in corporate sales, and started my voice over career 10 years ago. I have worked for companies such as Mastercard, Mercedes, Bill Gates, and The United Nations. I have hosted more than 50 travel videos that have taken me all over the United States. 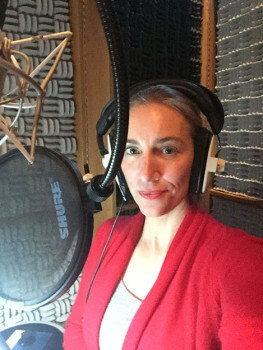 Description of voice: I have a neutral British accent that is warm, clear, friendly, compassionate and suits corporate/business projects extremely well. Voice Talent I have been very successful in this industry, but I'm always looking to expand. I work from an excellent home studio, as well as at local studios. I have voiced 100's of projects ranging from start up's to Fortune 500 companies. On camera presenter Hi have hosted more than 50 travel video's to date as well as several road trip projects. This job has taken me all over the United States and allowed me to try my hand at many extreme activities. Presenter I have presented in front of a huge group talking about my travel experiences.